The first event is now open for registration for club members on MotorsportsReg. This season we have 8 classes that you can participate in. Details of the classification system ate posted on the GGLC AutoX page. For Lotus Elise/Exige/Evora drivers, please choose your class that you want to participate in and also use the classification tool to calculate your index points. For other cars, please use the appropriate SCCA class. More raw than a Japanese tasting menu, the Lotus Exige S Roadster combines its coupé twin’s mesmerizing grunt and handling with an open air experience that makes the driver feel all the more at one with the road. It’s the first time an Exige model has been offered with a factory-fitted soft top roof, one which is typically lightweight and easy to put up and take down. In true Lotus fashion the finely tuned suspension delivers a responsive ride and sublimely agile handling, whilst the supercharged 3.5 V6 engine with race-derived technologies delivers stunning performance. Reaching 100 kph from standing in a neck-snapping 4 seconds (0 – 60 mph in 3.8 seconds) and 0 – 160 kph (0 – 100 mph) in 8.5 seconds this little roadster packs a punch both on and off the track. The Roadster comes with a six-speed manual gearbox, but will also be available with Lotus’ Serial Precision Shift (SPS), a paddle-operated automated manual transmission, which makes life more relaxed in the city and more F1-like when it’s let off the leash. Our favourite Finn introduced a very special version of an already limited edition – the Lotus F1 Team Evora GTE is about as exclusive as a sports car can get. Kimi returns to Formula One with Lotus in 2012, and what better way to celebrate the return of the former world champion than by creating a special F1 edition? Unique F1 and Kimi-inspired touches include: An unpainted high-gloss carbon-fibre body, carbon interior with copper inlays, gold-piped black leather bucket seats, and Lotus F1 Team Limited Edition badging. The GTE, expected to be homologated for EU markets by May 2012, is the most powerful Lotus road car ever: 444 horsepower from a 3.5 V6, and with over a 100 kg sheered from the standard Evora it boasts a better power-to-weight ratio than most machines this side of Kimi’s office. What’s not to love? Lotus is competing in the 2012 World Endurance Championship with a Lotus V8-powered Lola-designed LMP2 prototype racer. The team, which is run by former F1 principal Colin Kolles and his Kodewa squad, kicks things off at Sebring on March 17. This partnership is ideal for Lotus as it climbs the endurance racing ladder, having returned to the GT class last year with the Evora. Though hugely important in themselves, the build-up races of the season are really an amuse bouche for arguably the greatest motor race in the world – the Le Mans 24 Hours – and our LMP2 should be right in the thick of the action. This May, Formula One legend and Group Lotus ambassador Jean Alesi is taking on a stirring new challenge – to race in the Indianapolis 500. Lotus, of course, has a glorious history at the 500 having won it with Jim Clark in 1965. His Lotus 38 was the first mid-engined car to ever triumph at the Brickyard. 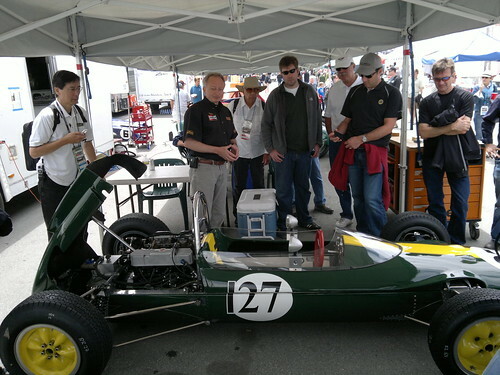 Lotus returned to IndyCar last year and has stepped up its involvement in 2012 by manufacturing its own engine and powering no less then five cars. 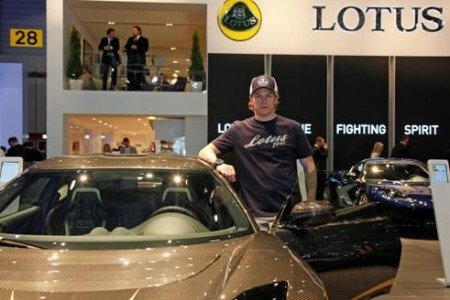 Innovation has always been key to Lotus’ DNA, and it’s something shared by Lotus’ newest partner, Swiss watchmaker F.P. Journe. The shared values help to explain why the exclusive watchmaker’s decided to support Lotus and Jean with his first Indy outing. In addition to partnering with Lotus for the Indy 500, Jean will be wearing an F.P. Journe Centigraphe Sport watch, the first all-aluminium mechanical wristwatch. At just 55 grams, its lightweight philosophy is perfectly in line with Lotus, and its high-tech aluminium alloy is normally found in aeronautical engineering and Lotus’ acclaimed chassis technology. The Elise S is all torque and all action. Its 1.8 supercharged engine delivers a buttock-clenching 220 PS, which means more speed, more versatility, and more efficiency. It results in lower fuel consumption and emissions than the previous Elise SC, which the S replaced last year. Following its debut in Frankfurt, the new Roadster’s brother, the Exige S in its coupe version, makes another appearance – the ultimate closed-cockpit road-faring missile that will make a mess of the competition but not your hair. And if you missed it in Frankfurt then now’s your chance to see the Evora S with IPS gearbox, the paddle-shift variant of Lotus’ current premium model. Its supercharged 3.5 V6 pumps out 350 PS, which the acclaimed chassis fully exploits. The Intelligent Precision Shift allows a high and even level of power transfer as well as quick, smooth shifts. It allows for more comfort in the city, better fuel efficiency and lots of fun when it comes to the fast stuff. Lotus is turning up the heat in Formula One this year. World champion Kimi Raikkonen is back in the driving seat alongside a very promising youngster, GP2 champion Romain Grosjean. The Lotus F1 Team’s E20 has been impressive in pre-season tests. While the team is hard at work, we have one of our black-and-gold F1 machines on the stand in Geneva. We’ve also got our F1-inspired customer single-seater, the Type 125, a car so extreme that everything about it gets the heart racing. Now at the end of its extensive development program, the car has spent the winter with our F1 team in Enstone and has been tested by Romain Grosjean in Portimao. The result is a racing car that can lick F1’s performance envelope, yet is easier to drive, more accommodating, and doesn’t need a 20-man pit crew to run it. Ultimate driver thrills are yours at the touch of a button. 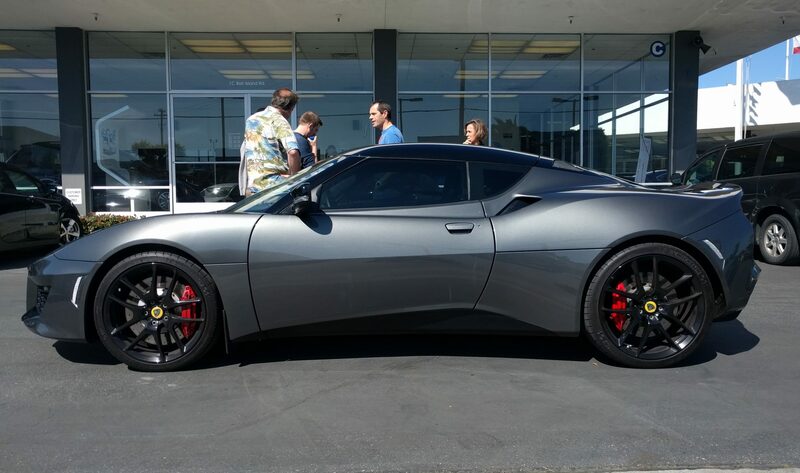 The Evora’s race debut went well last year and we’re looking forward to building on this in 2012. The Evora managed to complete all 24 hours of a punishing Le Mans in June and finished seventh in the GTE-Pro class, which was no mean feat given the programme’s infancy. Meanwhile, the Lotus Sport UK team took three fantastic wins in the British GT Championship’s GT4 category. At Geneva, we have a special gold-and-black Evora GT4 for you to get your paws on. Lotus Engineering showcased a number of technologies, all of which point the way for the future of sustainable, efficient transport with ultra low well-to-wheel carbon emissions. Leading the Lotus Engineering presence was the Lotus Evora 414E Range Extender Hybrid, developed as part of the UK’s Technology Strategy Board’s REEV project. Under the skin of this innovative technical demonstrator is an electric drivetrain with two electric motors giving 800Nm of torque and 414 PS, linked to the Lotus’ 1.2 litre, 35 kW range extender engine. Additional exhibits from Lotus Engineering included key components from the Active Valve Train technology, now developed to run at up to 8000 rpm, and the Omnivore engine which can run efficiently and optimally on almost any type of liquid fuel (including petrol, alcohol, diesel, aviation fuel and paraffin) and as such could lead the way in how engines will be designed in the future. 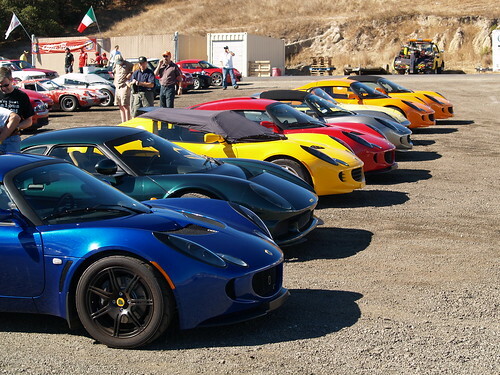 Registration is now open for the Golden Gate Lotus Club’s second track day of the year at Laguna Seca Raceway in Monterey, California on Wednesday, April 4, 2012. Please note that this event is not open to beginners. In order to maximize track time, there will only be two run groups – Open Passing Group and Restricted Passing Group. You must have a minimum of 20 track days experience to register for the Open Passing Group and a minimum of 5 track days (or equivalent – driver’s schools, etc.) to register for the Restricted Passing Group. Sessions will be approximately 30 minutes long. Cost will be $230 for members and $250 for non-members. There will be no bridging of run groups. Also, be aware that there will be absolutely no refunds. If you cancel before March 21 and we can fill your spot, we will give you a rain check for a future event. Only sign up if you know you can attend. In addition, we currently have 5 track days tentatively scheduled for 2012. If you attend the first 4 track days, we will offer the 5th track day to you at $99. Please sign up early to ensure a spot. Last but not least, this will be yet another 92dB day at Laguna Seca. If you think you might be on the border, don’t take a chance, get your muffler fixed/installed/replaced, or whatever you need, ahead of time. Click here to register via the MotorsportsReg site.